01/02/2002 The Call For Live Software Demonstrations has been sent. 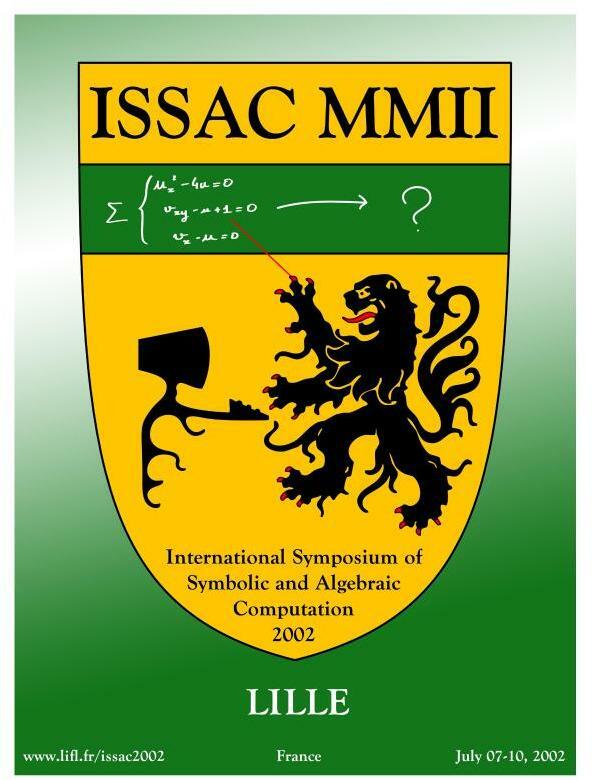 19/03/2002 The IAMC'2002 Call for papers and Software Demonstrations has been sent. 15/04/2002 The list of accepted papers is available. 08/05/2002 Registration is now available. 30/05/2002 Inexpensive accomodation in student residences available. 10/06/2002 The early registration deadline is extendend to June, 17th. 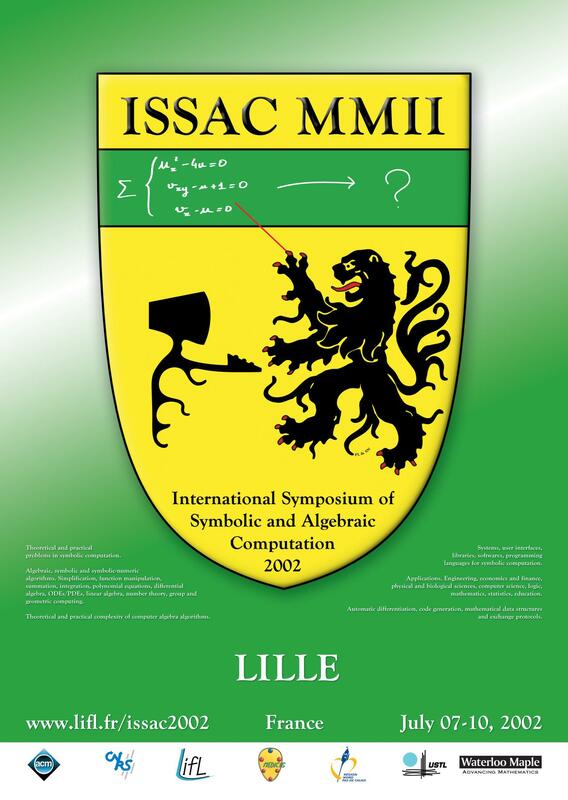 ISSAC 2002 poster by François Lemaire and Sylvain Neut.